I am reading through The Passion Translation of the New Testament and Psalms. I am in the gospel according to John. I am enjoying the read as it is a new version for me and because the new ways some things are stated keeps me on my toes. 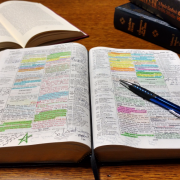 Often when we read the same version for years – which I do, and before you ask it is the ESV, English Standard Version – the words become so familiar to us that they no longer really register in our heads or our hearts. So, a new version jars the senses and keep your attention in many ways. And, allows the Holy Spirit a fresh opportunity to speak directly to you personally. The Passion Translation is only available, so far, in book form as the New Testament, Psalms, Proverbs, and Song of Solomon. If you have it electronically it also includes the prophet Isaiah. I have both a book form and the electronic form (Olive Tree Bible Program). It comes with many footnotes explaining the various versions of the verse or sentence determined by the meaning of the original language and the words used. It is well translated and seriously well researched. But, I digress. As I was reading the Holy Spirit showed me several new insights that I had never noticed before. Jesus asks Philip a question to help stretch his faith. Jesus’ question was, “Where can we get enough food to feed all these people?” Philip did not answer His question. He answered a question that was not asked: “How will we pay for enough food to feed this crowd of 5,000 people.” It seems that Jesus was testing Philip to see if he would look to God (Jesus) to supply all that was needed and not consider or be limited by their meagre resources as a ministry team. Maybe not a great revelation for you. But, it spoke volumes to me about listening to what Jesus is really asking you. And, don’t be limited in your thinking and in your faith by what you can see and what you have. We walk by faith, a stretching and growing faith, and not by natural sight. The second one was after Jesus preached a rather difficult sermon and the multitude left because they were offended and only the 12 disciples remained (John 6:60-69). Jesus went from feeding the five thousand to offending the five thousand. And, it didn’t bother Him. Jesus knew that they were only following Him because of the miracles that were happening (see John 6:2, 6:14, 6:26) and not because of who He was. So, He expresses a little of who He is and what it will take to sincerely follow Him and not follow the miracles, signs, and wonders … and they left by the thousands. Today, Christians run from special speaker to special speaker, conference to conference, bandwagon to bandwagon looking for miracles, signs, and wonders. They are following the miraculous instead of the Lord. And, thus they are missing out on the depth of personal relationship the Lord wants to have with them because their eyes are not on Him but on what He does. So, we have the same issue today as Jesus faced in His day. It renewed my commitment to keep my eyes of Jesus and only on Him, deepening my intimacy with Him. Just some simple insights from my late night Bible reading the other evening. So, ask the Holy Spirit who inspired the words you are reading to “lead you into all truth” and you will begin to see things that you missed in the past. And, using a different translation can help the Holy Spirit draw your attention to what He wants you to see and grab hold of. I had a medical check-up a few days ago. I have one every three months where we review how I am doing physically and chat with both a registered nurse and then my doctor about my life-style, exercise routine, eating habits, and if there are any issues that we, as a team, need to deal with. It is a thorough review of my physical health and my lifestyle. And, as I recently celebrated my 72nd birthday it is good to stay in touch with how I am doing, making adjustments as I age. It was interesting to note that over the past few years I have shrunk almost three inches in height. The evening of the most most recent health review I was reading the Gospel according to John (my favourite) in a new version (The Passion Translation) and came across John the Baptist’s comment: “So it is necessary for Him to increase, and for me to be diminished.” (John 3:30). I took note of the verse in light of the fact that I had just come to realize that I was “diminishing” and was a few inches shorter than in my earlier days. That led me to study the verse a little more during my time with Him that night. Of course, I recognized that my becoming slowly physically shorter was not what this verse was referring to. It was simply the way the Holy Spirit got my attention so I would look a little deeper into John the Baptist’s comment and its context. The first thing I found was that a more literal translation of the verse would be: “He is destined to become greater, and I must be pruned.” This, of course, let me to look into the whole process of pruning… it has been years since I first studied it (40+ years to be honest). When you prune a tree or a vine you are literally cutting off parts of the plant that are still bearing fruit. However, you cut them back so that the plant can produce more fruit of a higher quality. You obviously remove the dead branches on a regular basis so new shoots can come up in their place. 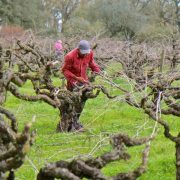 But, pruning is looking at the overall plant, tree, or vine and removing some of the lesser producing branches so that the remaining branches can produce more and richer fruit. The Passion Translation: “He (The Father) cares for the branches connected to me (Jesus) by lifting and propping up the fruitless branches and pruning every fruitful branch to yield a greater harvest. From the Wiersbe Study Bible …Of itself, a branch is weak and useless. It is good for either bearing or burning, but not for building (see Ezekiel 15). The branch cannot produce its own life; it must draw that life from the vine. It is our communion with Christ through the Spirit that makes possible the bearing of the fruit. The sooner we as believers discover that we are but branches, the better we will relate to the Lord, for we will know our own weakness and confess our need for His strength. Of course we all agree that we must decrease so that He can increase. He is to receive all the praise, thanks, and glory for all that is accomplished in and through us because it is all about Him and not about us. But, we are a little less excited about the prospects of being pruned … shaped in such a way that we can bear more and better fruit for Him. The end result is great but the process of pruning can be painful, difficult, and even disturbing and unsettling at times. So, like me, maybe you are undergoing some changes and feeling a little disoriented and even frustrated. Maybe you are experiencing a hunger for something new and different. It could be that you like what you are doing as you live for Him and can do it well but you are bored with it all. These are all good feelings as they are indicating a “grace shift” as God takes away things and ways that are not bearing as much fruit as before, and prunes so that you can bear new fruit, more fruit, eternal fruit. So, welcome the season and embrace what the Holy Spirit is doing. It is resurrection life flowing through you – you are the branch and He is the vine – that bears the fruit. So, let Him remove and change things so that His life can flow more freely and bear more and better fruit in and through your life. As we approach Easter Sunday we tend to think a little more about the resurrection of Jesus on that first Easter Sunday many years ago. This season is often one of the few times that we really seriously consider the fact that Jesus rose physically from the dead and is alive. That He was seen by many different people at a variety of times over a period of 40 days before ascending into Heaven and send the Holy Spirit as the other Comforter. And the “life” that He gives to us is His resurrection life! Jesus was raised from the dead by the power of the Holy Spirit – raised to new life, resurrection life. He was different. So different that in one of His initial appearances to Mary in Garden she did not recognize Him. The same was true for the two disciples on the road to Emmaus. He was raised victorious and glorious as Paul states in 1 Corinthians 15 – a wonderful chapter on the resurrection – Jesus’ and ours! And He is now living in the power of that resurrection. And promises that we too can experience this resurrection life … now and forever. The power that raised Jesus to resurrection life is in us as born again believers. And for those who have been baptized in the Holy Spirit this same power is “upon us” empowering and enabling us to live resurrection life and to move supernaturally and touch lives for Jesus and the Kingdom. 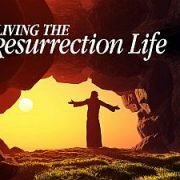 We have resurrection life welling up within us. We live in a new dimension because of this resurrection life. We have new values and a new perspective, a Kingdom perspective. We have been raised from the death of sin into ‘a living hope’ based on this resurrection life that we have received. As we approach Easter Sunday it is a good time to think about what His resurrection means for us as believers today. And, to pray about what His resurrection life in us should look like in our every day living as we relate to many who do not know the love of God or this gift that Jesus freely gives to those who believe in and follow Him. When we were born again the Holy Spirit poured God’s love into our hearts. (Romans 5:5) As we follow Jesus because of His love for us we see how His love can touch and change the lives of other people we know and meet as we share His love with them in so many ways. I have discovered that the longer I walk with Jesus and follow Him the less I focus on this love and simply take it for granted. 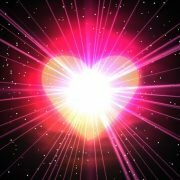 I have also discovered that spreading that love to others who do not know Him becomes less and less of a priority as I begin to take His love for granted and life continues on as before. So then I find myself needing to “grow a heart of love” towards the lost once again. In other words, going back to the basics of the faith – loving people enough to tell them the Good News of salvation through Christ’s life, death, and resurrection. To being regrowing a heart of love for those who are lost, broken, and wandering far from God, we can pray that God will give us a heart like Jesus’ heart towards those who are still living on the borderlands of faith. Pray for God’s love to fill our hearts to overflowing. But be warned: this prayer is dangerous. It’s risky to pray this because when we ask God to give us His heart, we know that this is one prayer He is always willing to answer. His love will help us feel on a new and deeper level. Jesus wept over Jerusalem (Luke 19:41). God loves people with absolute desperation. If we have even a small fraction of God’s heart for people, tears will flow, compassion will grow, and hearts will break. We will never be the same. Another way we can grow our heart for those who are spiritually disconnected is to study the life of Jesus. As we discover how the Saviour related to those who were deep in sin and spiritually lost, we can gain a vision for connecting with others that will shape our hearts and our lifestyle choices. Jesus talked with and let His heart be touched by an adulterous woman (John 8:1-11), a dishonest businessman (Luke 19:1-9), “sinners” (Matthew 9:9-12), and a broken woman (Luke 7:36-50). Jesus’ example and his love for people, even the ‘tough people,’ can inform our priorities and help reshape our hearts into ones that look a lot like His. One additional way we can grow a heart for people on the borderlands of faith is to notice and connect with people who are far from God. Jesus had a way of seeing the sick, stopping for the broken, making space for children, touching those who had leprosy, and connecting in an authentic way with people many others in the religious community avoided. We can develop a discipline of noticing and making space for those who are spiritually disconnected and often marginalized even by Christians. As you spend time with these people, God will grow new love within you. As we prepare the soil of our hearts for the work of outreach, it is critical that love rules the day. Love brought God from Heaven. Love put Jesus on the cross. Love offered salvation to you and me. And love will drive us to our knees in prayer and then into the world searching for those who are still lost. When we love God and our hearts are captured by His love, we are compelled to reach out to those who are still far from Jesus. So many believers come to Church every week and take notes as the leader or pastor teaches God’s Word. The preacher starts to share and people take out their pens and their journals and take notes. This warms the heart of the preacher because it is easier to teach when people are hungry and receptive. However, we need to consider the reason for listening to someone teach the Word of God. It seems to me that many people are simply collecting information and becoming well informed regarding what the Bible says. They know the Bible stories, they understand the teachings of Jesus, they are aware of the basic tenets of the Paul’s letters to the early churches that he planted. But, is that really enough? I believe that the Bible is meant to help change us from the inside outward. I believe that the Bible and God’s Words contained in it are meant for more than information, they are meant to bring about transformation. But, for change to happen people need to take action. Believers need to apply the Word they are hearing to their daily lives – their actions, their attitude, their words. Taking notes is good but it is really just the start. True and lasting changes in one’s life begin on the inside as we hear and heed God’s Word and begin to apply it to our lives every day. For real change to happen, we must go from knowing to doing. It is at this point that transformation begins. 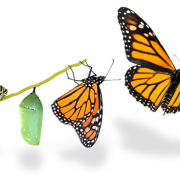 Transformation is always difficult, yet the results are so beautiful. Difficult because we don’t like to change. And, because it takes courage, consistency, and determination. But, when we apply God’s Word and begin to change then we are not only faithful we become fruitful. It is difficult because saying is always easier than doing. As the old saying goes, “talk is cheap.” Action and change costs. Action brings transformation and thus, although difficult at times, it is really necessary and in the end very beautiful. Christians are called to live transformational lives. That takes courage. The courage to let go of the familiar and set off on a better way. The courage and determination to start. Today would be a good day to do just that. 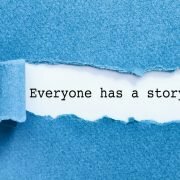 Christians don’t have just one story or testimony; we have many. Our testimonies are stories of God’s power and presence in our lives. Every new day brings fresh stories of God’s goodness and grace. We are living in a season when change is the key word. Everything is changing and as a result there is tremendous turmoil in the world. There are those who are leading the change and they are usually young and are using ‘people power’ and social media to bring about the changes they want and, in many cases, the world needs. There are those who are apposing the changes because they simply like what they already have and are not in favour of change or innovation in any area for any reason. And, you have a third group – often the largest of the three – who simply don’t care one way or the other. They are either apathetic or simply out of touch with what is happening in the world and in their small corner of the world. To which zone do you naturally gravitate? Do you tend to live in the coasting zone, casually – even passively – doing as little as possible? Do you tend to stay in the comfort zone, avoiding risks? 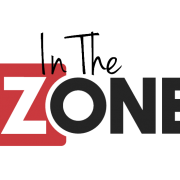 Do you connect with the challenge zone, where you try new things and willingly risk failure? Or do you try to stretch yourself the furthest by living in the creative zone, where you explore new ideas, seek out other perspectives, and cross bridges in your imagination long before you physically reach them? The good news is that we have the ability to choose a zone different from our natural one. And I would recommend the creative zone, because it is where we experience abundance and expand our potential. If you want to take your walk with Jesus and your life journey to ever-higher levels and fulfill the potential God has placed within you then you need to shift from whatever zone you are currently living the majority of your life in and enter the challenge zone and then the creative zone. Don’t settle for what is when there is so much more within you that needs to be expressed so that you reach your full potential and then the Church and God’s Kingdom can benefit. http://ralphhoweministries.com/wp-content/uploads/2019/03/in-the-zone.png 551 703 ralph http://ralphhoweministries.com/wp-content/uploads/2017/08/ralph-howe-ministries1.png ralph2019-04-11 15:05:062019-03-31 11:48:15What Zone Are You In? If someone asked you what your values in life were, how would you answer? My daughter was asked that in a university class and it caused her to do some deep thinking. The professor then asked them to mentally look around at their living room and describe what they saw as the contents of the room said a great deal about what was valued and how life was lived. I got to thinking about that the next morning and reviewed my values – the ones I believe I currently hold as they do change was we get older and hopefully wiser. I am convinced from personal experience and over 40 years of ministry that good values are the road to a better life. Good values are teachable and reachable. And, just one good value in a person’s life can bring tremendous change and great value. So, have a look around the main rooms in your home and see what they are saying to you about values. Take a look at your calendar and what occupies your free time away from work and see what you really value. And, take a look at what you spend your discretionary income on as this too is a determining factor in sorting through your values. 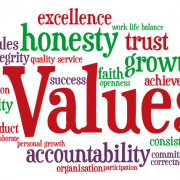 Knowing it or not, choosing it or not, all of us have a set of personal core values. Prevent discontent, conflict, frustration and lack of fulfillment by choosing consciously the values by which you want to live. And remember, it is not hard to make decisions when you know what your values are. If you want to connect with people and grow heathy and beneficial relationship you need to learn how to listen. Listening opens the best door for you to connect with people. Listening with your head and your heart. There is the story about the tennis pro who was giving a lesson to a new student. After watching the student take several swings at the tennis ball, the instructor began to suggest ways the man might improve his stroke. But every time the instructor made a suggestion, the student interrupted with his own diagnosis of the problem and how he might fix it. After being interrupted yet again, the pro simply nodded in agreement and let the player continue on his own. If you never listen, before long the people around you will stop talking to you, and you will lose the benefit of their input. If you are a leader in the church and you don’t listen well, you will become isolated and eventually no longer be leading anyone. If you do listen, not only will they tell you things you need to know but they will also connect with you because they see that you care and that you value what they have to say. You will build great relationships and connections. So, how do you become a good listener? 1> Remind yourself daily to listen well. Here’s a thought. Those that think they listen well usually don’t! So, remind yourself to listen. We all spend a great deal of time on a daily basis meeting with people – formally and informally. You need to decide that every time you meet with someone – and I mean every time – have a way to remind yourself to listen more and talk less. A past mentor of mine always carried a legal pad with him to take notes. He would open his note pad just as he was sitting down with the person and would write a large “L” on the top of the page. That “L” stood for listen. It was his reminder to shut up and listen. 2> Stop interrupting others when they are talking. Most people are so focused on what they want to say or share that they simply ignore what the other person is saying, interrupting them often in mid-sentence. They simply take over and talk over the other person until the original person stops talking. This also happens when they want to respond to what is being said even before hearing all that is being said. And, sometimes happens because you think you know what others were going to say and so you jump right in. No matter how you slice it – it is rude and you appear very arrogant. You leave the impression that what you want to say is more important than what they are saying. One of the ways to stop interrupting is to engage with what the other person is saying by asking them questions. Asking questions is the best way to encourage another person to talk. And, when you are asking questions you must stop talking to hear the answers. Then dialogue and good communications begins. You will discover, as strange as it may seem, that you ears never get you into trouble. 4> Invite others to hold you accountable in the area of listening well. Ask people who are close to you to let you know any time that you are not “really” listening to them. There is nothing like accountability to keep you honest and help you to grow. And, whenever someone calls you out for not really listening with your whole being, apologize, close your mouth, and listen. If you want to be a good friend, marriage partner, business person, Christian leader – become a better listener. Invite others to hold you accountable. 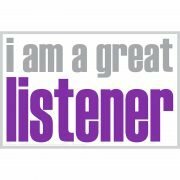 If you have the courage, meet with your team members, colleagues, friends, and family, and ask them how good a listener you are on a scale of one to ten. And, listen carefully to their response. Then make some changes. Then you will become a great listener! 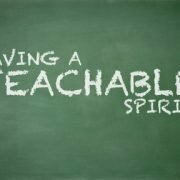 When I am asked to mentor someone I immediately look to see if they have a teachable spirit. Currently, when someone asks if they can come with me and be a part of my team on an international apostolic trip I again look to see if they are teachable. And, regretfully, in many cases those wanting to work with me and be mentored by me are simply not teachable. So, my answer is now no. I have to be honest and say that I have too often, in the past, simply wasted my time and effort hoping that the time with them will bring about change and that they will grow as a result of the trip they join me on. There is only so much time available in a day and I simply don’t want to spend time with people who are not teachable. People who think they know as much as I do. Maybe they do – and, if they do, then honestly they need to look for someone smarted and more experienced than I am. But, in most cases they really are not smarter or better – they simply have a high opinion of themselves, their abilities and they knowledge. An opinion I don’t share obviously. I also don’t want to waste my time with those who are not serious about growing and developing their gifts, their skills, and their understanding. And, people who are are not teachable and who ignore constructive criticism and valid suggestions for improvement are simply wasting my time. I am looking for young people who are teachable. Young people who want to grow, develop, and mature in the faith and in life in general. These people are hard to find but when one comes along or you locate one they are an excellent place to invest your time. I immediately make a commitment to a person who is teachable. You see, and I say this often, there are only three things you can do with your time – remembering that you have a limited amount of time to use and you cannot save some for later. Three things you can do with time – waste it, spend it, or invest it. I look for people with a teachable spirit so that I can invest in them and not simply waste or spend time. Growth and change, development and maturity begins with having a teachable spirit. What does that entail? What does that look like? It means having a passion to learn, the intention to learn every day, and reflecting on what you learn so that you know how to apply what you are learning. It is a bit like gardening. A garden doesn’t spring into life on its own. It requires planning, hard work, and the right environment. A gardener must do the work: prepare the soil, plant the seeds, water the plants, then feed, mulch, and weed. It’s an intentional process, and it must occur every day. 1> I make personal growth (and thus growth in my ministry) my number-one priority. I am conscious of my need to learn 24/7 because a day without growth is not a good day. So, in a practical way I always have a book with me. Most times a paper copy but, if not, then I have one of my two ebook readers stuffed in my pocket or the pocket of the car seat. I am never without something to read because, in any given day, I can read several decent length chapters in a book while waiting for people with whom I have an appointment or while in line waiting for an oil change or whatever. 2> I look for growth possibilities in every situation. No matter what I am doing, whether succeeding or failing, opportunities to grow are there. The question is, do I see it and take advantage of it? I spend time in airports and on flights talking with those who are sitting near me. They often have had experiences and know things that I can learn from them firsthand. I have recently had conversations with a witch, a well-known economist, a medical research assistant, several college students, and members of several national sports teams (Russian, Kazakhstan,, Ukraine). Of course, if you are carrying a book – even when there is no one to talk to and ask questions of – growth is always possible. 3> I ask questions that will help me to grow. Growth does not find me. I must find it. The fastest way to find out what I don’t know is to ask questions. The best way to dig deeper and learn more is to ask question. And, we can ask people questions in person. But, we can also do so by email, text, and the various connection apps that are now available. When I can’t find someone to ask my questions of – I head to the internet, Siri, and my fairly extensive paper and electronic personal libraries…. Yes, back to books! 4> I file what I have learned. People forget a lot of what they learn. If they want to recall it later, they can’t. Or, they can’t find it. So, when I read I mark the book up. I have symbols that tell me what to do with what I am reading – file in quotes, file in my very extensive Bible program, file in ‘ideas for a blog’ electronic file, and on the list goes. If it is an article then I photocopy it and file the paper copy… and more recently, I scan it into the computer and file it electronically. When it is something personal that is a new insight or understanding for my personal journey in life and with Jesus, I have a paper journal that I record the thought in. One thought or insight per page. This way, when I have further time to process the insight I can jot further related thoughts and what I am learning as I process below the original entry. I file almost everything I find and learn so that I can always regain access to it quickly. 5> I pass what I learn on to others. Sharing something I learn reinforces growth and prompts me to make it my own. It also allows me to help others. On occasion, as I share with others, they add to my insight and thus I grow as I am helping others to grow. I encourage you to find your own ways to remain teachable and facilitate personal learning. It will open you up to amazing new possibilities.